Point Lobos has been called "the greatest meeting of land and sea in the world" and "the crown jewel of the state park system." It has diving unmatched on the California coast, great hiking, perfect picnic spots, vistas and wildlife well-suited for painting or photography, and even an old whaler&apos;s cabin. In the winter, migrating gray whales are visible from the shore. The ocean at Point Lobos is home to sea lions, harbor seals, elephant seals, sea otters, and is a year-round stopping point for orcas. Visitors can even whale-watch without leaving dry land; gray whales migrate past this area from December to April, and can be easily seen from the coast. There are even more animals on land at Point Lobos than there are in the ocean. Though many of them, such as the gray foxes, raccoons, coyotes, striped skunks, opossums, and mountain lions, are primarily nocturnal, you may still see them during the day. You may also catch sight of weasels, deer, badgers, bobcats and rabbits. While Pacific Grove is known for its Monarch butterfly sanctuary, not many people realize that Point Lobos also provides an important wintering-over spot for these flying jewels. Point Lobos is a birders&apos; paradise! Birders can check a number of feathered friends off their lists after just one visit. Smaller birds include the chestnut-backed chickadee, the pygmy nuthatch, Anna&apos;s hummingbird, the spotted towhee, the dark-eyed junco, scrub jays, wrentits, the white-crowned sparrow, and the California quail. Turkey vultures, red-tailed hawks, and the American kestrel can also be spotted. Seabirds regularly seen at Point Lobos include the brown pelican, the rock pigeon, the black oystercatcher, Brandt&apos;s cormorant, the western gull, the killdeer, the great and snowy egrets, and the great blue and black-crowned night herons. Point Lobos State Natural Reserve has a number of excellent hiking trails that range from easy to challenging. 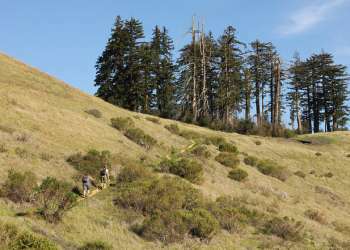 Refer to the second item on our list of Top Ten Day Hikes in Monterey County for detailed information on these hikes, including online Point Lobos trail maps. Looking for a guided tour through Point Lobos? 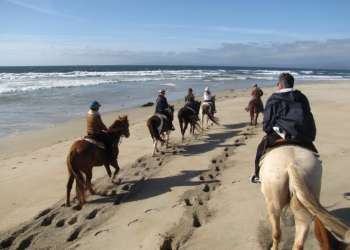 Schedule a hike with California Legacy Tours for all sorts of historical and wildlife tidbits. If you stick to land, you&apos;ll miss the most awe-inspiring part of Point Lobos - the part that lies underwater. As part of the Monterey Bay National Marine Sanctuary, the undisturbed aquatic life in Point Lobos is one of the most varied in the world. The incredible array of marine diversity and towering kelp forests make Point Lobos a preferred diving spot; call ahead at 831-624-8413 to make a reservation. The Point Lobos State Reserve website has Point Lobos maps and dive site videos. While whales passing by Point Lobos are now considered a thing of natural beauty, in the 1800s they were considered a natural resource. The building known as the Whalers Cabin was inhabited by Japanese and Chinese fishermen beginning in the 1850s. The cabin has been restored to look as it did in the 1800s; the former garage for the building now presents a history of the shore whaling industry on the Monterey Peninsula. This majestic spot for hiking and diving is easily accessible; just drive south on Highway 1 three miles from Carmel. Download Discover Point Lobos for iPad* free from the App Store today!